Whether it's your boss, a friend, a family member or society at large, grief and loss are frequently treated as a temporary or trivial inconvenience. At C&C Resources for Life in Kamloops BC, our team of counsellors recognize that grief is a normal human response to loss and our clients' experience with grief needs to be supported and validated. 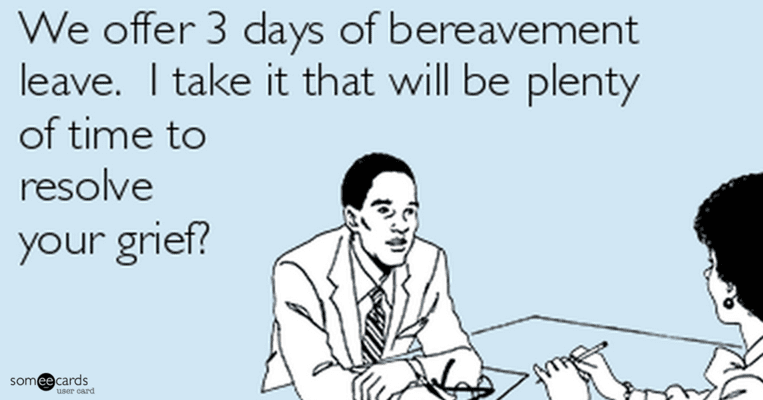 In fact, grief counselling is our specialty. My name is Mary Widmer. You can learn more about me and my role at C&C Resources by going to our About page. I have learned about grief through personal experience as well as from my clients. Understanding the role of grief in life can help us deal with our losses in ways that honour the things we have lost and keep us healthy. Grief is something we all experience throughout the span of our lifetime. The problem is often we don’t know that what we are experiencing is grief – mostly because our feelings are not being validated and the people we trust are attempting to soothe us with platitudes, or encourage us to regulate our grief behaviours with what they think are reasonable substitutes. I’m sure you’ve heard them. Like when our favourite toy gets broken, we’re told, “Don’t cry. Here - Have a cookie it will make you feel better.” Or when our boyfriend/girlfriend suddenly prefers our best friend’s company to ours, we hear, “Don’t worry, there are plenty of fish in the sea.” If we lose our job, people reassure us that we will soon find one where we are better appreciated or make more money. Remarks like that do nothing to respond to the real issue – that we are sad, hurt, angry, disappointed, confused or experiencing a combination of emotions that are actually valid and appropriate to the situation. Truthfully, when we are experiencing the aftermath of a loss of some kind, we are nowhere near ready to entertain the thought of someone or something else filling the void that has suddenly become our focus. We first need to process the ramifications of our loss and give it meaning. Only then can we contemplate how we are going to reconstruct life and what people, things, or components we will need to add in order to function in a healthy manner. All of these tasks make up the process of reconciling ourselves to our loss and integrating it into our lives. They require us to devote time and attention to them. They don’t just happen on their own and they don’t happen on a predetermined timeline. "Gina Louise (Dec 2001; Sept 11,2014) AKA my angel, baby, Gina bean, sweetheart, precious, love of my life, center of my world/heart. It does not yet feel like your presence has left this earth for parts unknown, though I got to hold you as you stopped breathing and I watched, crying as they bundled you out of my hospital room in a cozy cart. Surely eyes so bright, and loving can not be closed forever. But I suppose this is yet another weight my heart must learn to bear and a new constriction my beleaguered lungs must learn to breathe through. As you were going to sleep, our eyes met that last time, and our souls connected as they always had. I smiled into your beautiful clear heart with all the love I have for you always and forever, "Hi Sweetheart," I whispered and I felt the light of your love returned with enough brightness to keep illuminating all the shadows in my spirit for all the years I must find ways to live and breathe without you now. The vet said seeing that moment will stay with him forever. I'm glad because I need for others to see and know how special a connection we had, how sacred and God given and healing it was. You were so perfect for me, you made me laugh everyday, and everyday to fall in love with you all over again. I only hope I was everything you needed and wanted out of life too." While my daughter felt the loss more intensely than the rest of us, we all grieved Gina’s death – still do, in fact. We do have another precious fur baby that is now my daughter’s therapy dog. But the new pet is not ever viewed as a substitute for the one she lost and we all know that. We have often cried with her, shared her pain, felt our own pain and buried our faces in Chukchuk’s soft fur as he intuitively snuggles up to give us the comfort we are looking for. He can’t be Gina and he can’t take her place, he can only be himself and we have learned to love him for his own sake. You might say, “Get a life! Four years to mourn a dog? Really?” Yes! Losses never go away and we never “get over them.” We only learn to live with them and richly value the significance of what those people, animals, jobs, health, experiences or things have meant to us. On occasion I still mourn the loss of my first career in Physiotherapy, the 15 special years I lived in Thailand, the family members who are no longer with me, the friends who have moved away or died, and now, very recently, the resignation of my pastor who has been a special friend and confidant for 15 years. Every one of those losses has changed my life and I have had to restructure how I live going forward. But I can never view what I have now as a replacement for what is gone. Instead, as a grief counsellor I now value the privilege of companioning people through their losses, validating their experience and never, never suggesting that something else will ever take the place of that which they have lost.